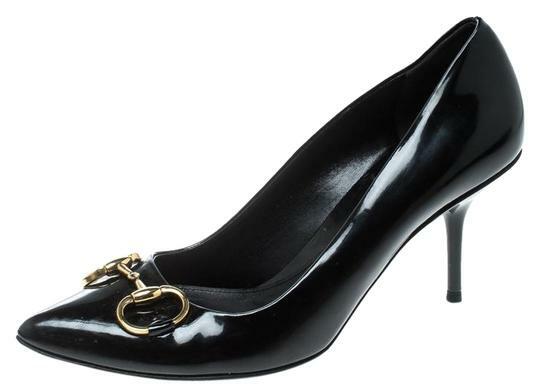 These chic and stylish pumps from Gucci are a must buy! 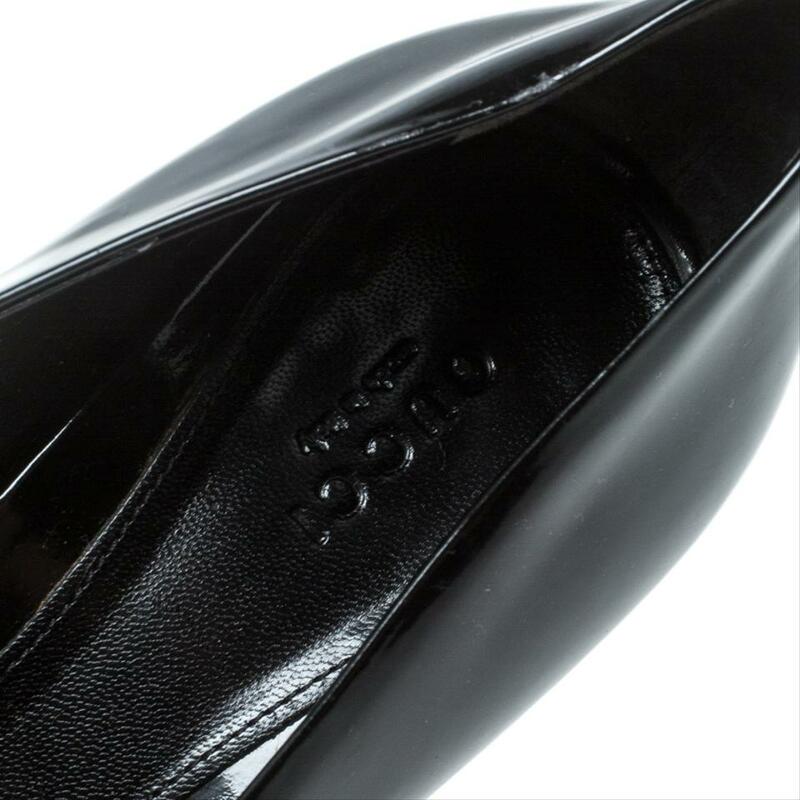 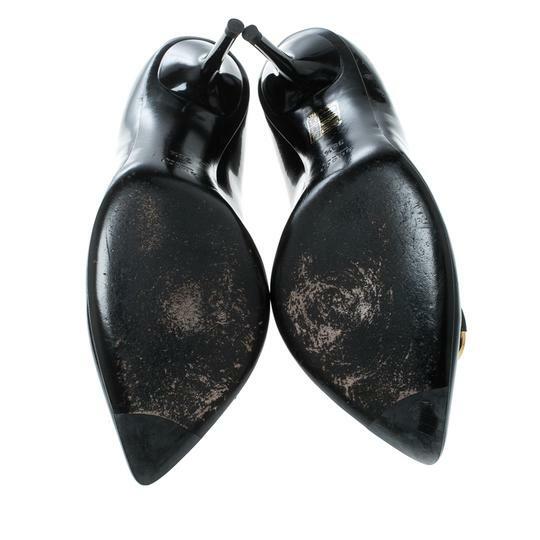 The black pumps have been crafted from patent leather and feature pointed toes with gold-tone Horsebit buckles detailed on them. 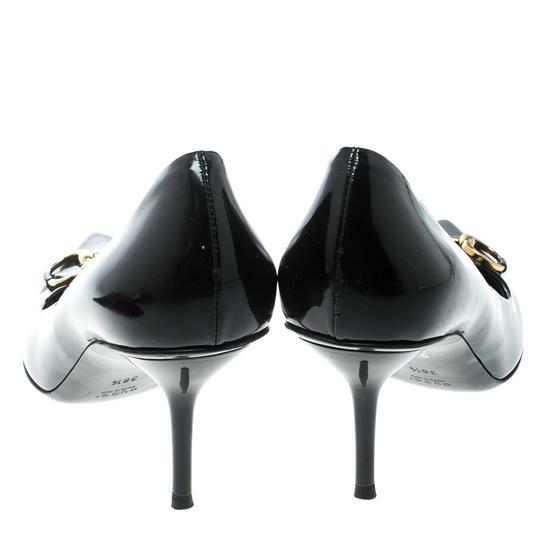 They are complete with comfortable leather lined insoles and 7.5 cm stiletto heels.